In large resealable food-storage plastic bag, place all ingredients. Shake until well mixed. Store sealed in plastic bag or airtight container. 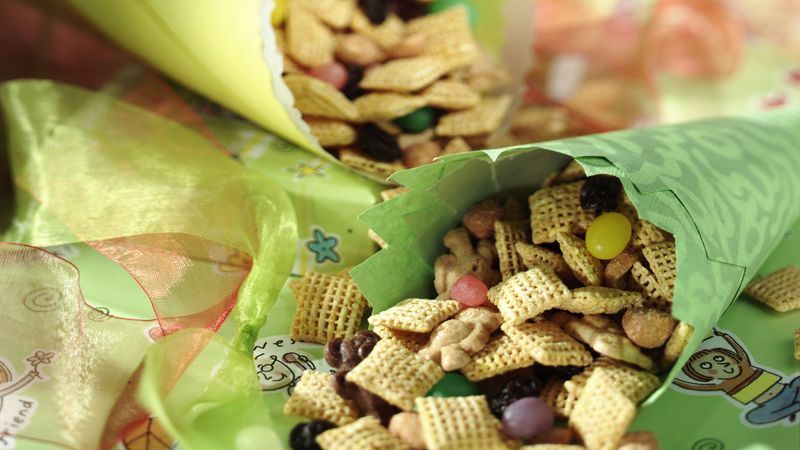 Look for other shapes of mini graham or cookie snacks to add to this mix besides teddy bears. This is an easy recipe for younger kids to help with. They can learn about measuring cups, practice fractions and enjoy the results!